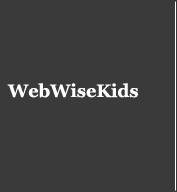 BeSeen is a mobile phone App created by Web Wise Kids, in partnership with Carnegie Mellon University. The game is designed to be played on a mobile phone and simulates a social network. It was designed to teach kids how to be responsible on social networks like Facebook, by securing their private and personal information, protecting their online reputation, and defending their peers. BeSeen was made possible by support from Trend Micro, CTIA The Wireless Foundation, and The Verizon Foundation. As many as 7.5 million Facebook users in the U.S. are under age 13 - a violation of Facebook's user policies - according to a new study by Consumer Reports, as reported by Ad Age. 55% of teens have given out personal info to someone they don’t know, including photos and physical descriptions. 29% of teens have posted mean info, embarrassing photos or spread rumors about someone. 29% have been stalked or contacted by someone they don’t know. BeSeen teaches kids to behave responsibly on social networks, and to guard their personal information and images. You can find more statistics about kids’ behavior on cell phones and online here. This online safety mobile application is a single-player game that simulates a social networking website. The player creates a profile and starts earning "friend" characters and interacting with them. They learn about others through their posts and help them through challenges in order to win awards and make new friends. In BeSeen, the ultimate quest is to make friends. At first, that is a matter of getting involved in school activities, but as more friends join a social circle, they bring their problems with them. To keep friends and make more, it’s important not only to be involved but also to be a good friend. Where Can I Find BeSeen? BeSeen is a free mobile app, available for download in both the Apple App Store and Google Play (formerly the Android Marketplace). You can find more information about the game, including support documents and instructional materials here. BeSeen is available for free. It's easily downloaded in both the Apple App Store and Google Play (formerly the Android Marketplace). We also offer free handouts, instructional videos and companion materials to be used in classrooms or at home. What Platforms Can I Play BeSeen On? BeSeen is available for both the iPhone, and Android smartphones. It is not yet available for laptops or tablets. I'm a Teacher; Can I Use the App in my Classroom? Absolutely! BeSeen is a fun and engaging learning tool to teach your students about social networking. We have created an entire set of classroom resources around the BeSeen App, to help you use it effectively in your classroom. You can download the materials for free here. I'm a Parent; Can I Use the App at Home? Sometimes, parents are unsure about whether to allow their kids on social networks. BeSeen can be a great way to teach your kids how to navigate social networks safely, and to achieve peace of mind as a parent. Our free BeSeen classroom materials can easily be adapted for use at home, or, simply download the free app and let your kids play. Are There Any Instructional Videos That Might Help Me Understand the App? We have several videos available that will walk you through the BeSeen game. There are also printed materials that can help you understand what players are learning as they navigate the game. You can find all of these resources here. For more information on BeSeen, visit our website. You can also download our free Program Resources to learn more about the BeSeen App. If you would like to learn more about the other educational video games that we offer, you can do that here. Join our newsletter to stay up to date on all our news, and the latest educational programs we’re rolling out. And, to contact us, please email [email protected]. You can always reach us by email at [email protected]. Or, call us at (866) WEB-WISE or 714-435-2885.